Are you a budding athlete or a workout enthusiast? Want to take your performance to a totally new level where you can perform extraordinarily and amaze everyone around you? Well then, you need to train yourself in such a way that your body attains the ability to scale new levels, which hundreds of other people can only dream about and not achieve. 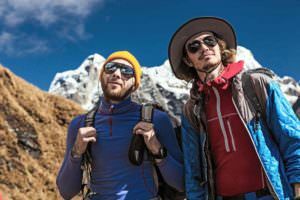 If you seriously want to see yourself stand out amongst millions of athlete or training enthusiasts around the gear, you need the right kind of training – a technique that is often referred to as altitude training. 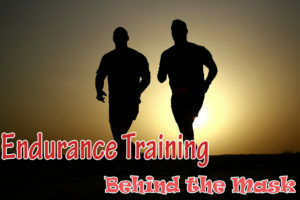 Altitude training is a class of endurance training and the results are simply awesome. Altitude training is usually practiced at very high altitudes (more than 8000 feet) where the pressure of oxygen is considerably low. The scarce availability of oxygen at very high elevation triggers enhanced production of hemoglobin as well as an increase in the mass of the RBCs in the body. This increased RBCs count significantly improves endurance and stamina which allow athletes and training experts to enhance their performance. Training masks or hypoxicators are used to compliment altitude training or to gain the benefits of high altitude training even at lower altitudes. Why should we use training mask? 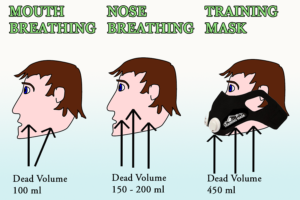 A training mask is a contraption that is built in such a way that it regulates and moderates the breathing procedure. Its design is meant to constrict free airflow and regulate how much air is available for breathing. This multi-level resistance mechanism comes with a re-breather system which in turn adds friction to the air that is available for breathing. This, in turn, helps in conditioning the intercostal muscles and the diaphragm and help them to adapt to several physiological changes that boost and assist in endurance and stamina enhancement. Thus, these masks help athletes or workout/training experts to attain similar benefits to altitude training without being restricted to special facilities or traveling to higher altitudes every now and then. Training masks are gaining popularity by the day and more and more training/fitness enthusiasts are putting on their masks to attain new dimensions in their performance level. Since, attending high altitude training camps now and then is often not possible or available for most athletes or workout aficionados, training masks have become a very common and preferred alternative. All that one needs to do is spend a few dollars and get a good training mask and he/she can continue with their regular gyming/workout sessions at their home/gym while reaping the benefits of reduced oxygen pressure in the air that they breathe. Since these masks claim to create an almost similar breathing condition as that available at the high altitudes, they have easily made an entry into the shelves selling gymming and training gears and athletes and trainers have started incorporating them in their must-have lists. So, though the main goal of the manufacturing of these masks was to help enhance the performance of those who practice altitude training, they, themselves, have led to the adaptation of a new technique of training/workout. The exposure to the hypoxic breathing environment brings about striking physiological changes in the body. It strengthens the muscles of respiratory organs. Triggers enhanced production of RBCs and hemoglobin. Eliminates the need of being restrained to stationary devices or chambers. Conditions the way you perform cardio exercises and also strengthens the cardio-vascular muscles. Improves the endurance performance of an individual. Has a positive impact on the power output. The re-breathing facility surely makes an individual more adaptive to a higher level of CO2 in the air, thus enhancing CO2 endurance. Improves your stamina level and also allows you to perform high-intensity workouts for a longer period without any signs of muscle soreness. Allows you to retain your peak level intensity during workouts without any negative effect on the body. Helps to burn more calories in a specific time period as compared to working out without a training mask. Better EPOC resistance which may help in burning more fat after/during workouts. Reduces the time that you need to spend at your gym daily. Allows to you to take more deep breaths against air resistance. Reduces fatigue during workouts, thus allowing you to continue for longer periods at the gym. 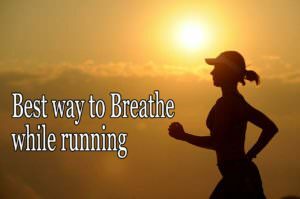 Improved breathing mechanics which stimulates mental sharpness and at the same time, reduces the stress on the body during athletic performances. Helps you to break free of your workout/training limits and achieve new goals, which is very important if you want to excel in some particular sport or in athletics. Several levels of resistance offered by a training mask ensure that individuals at different standards of fitness can successfully use it to achieve their goals. While a training mask costs somewhere around $30 – $100, attending an altitude training camp will cost you hundreds of dollars, something that most athletes/fitness aficionados wouldn’t want to pay. Not only that, altitude training isn’t a matter of single term; to get the best results you have to train yourself at high altitudes at regular intervals, meaning recurring expenses. But with the training mask, there is no such issue. 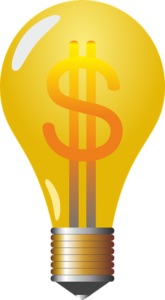 You spend a few dollars once and you can reap the benefits for a long time to come. Altitude training is best practiced at heights beyond 8000 meters or atleast 6000 meters or more. But such altitude above the sea level is not always available or scalable. Athletes or fitness enthusiasts from such regions would have to travel to other parts of the world to train at high altitudes, meaning more expenses and also a loss of time and effort. This problem is quite solved with the help of the training masks. You can wear them anywhere, anytime – totally at your will. 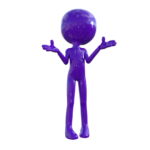 You do not have to travel anywhere, you do not need any expert assistance – completely nothing. This means, your workout schedule becomes much more flexible and you can train at any time of the day, totally handsfree. With the use of a training mask, the muscles of your expiratory and inspiratory organs become stronger. In easier words, using a training mask while workouts strengthen the diaphragm as well as the intercostal muscles. This, considerably, improves endurance in sportsmen and athletes as well as fitness fanatics. A controlled, strength training for your lungs, as done by the use of a mask, will surely assist the body to perform better for longer periods without any setback. If you like to stretch yourself beyond your limit quite often, you would surely understand that recovery time plays an important role here. If your high-intensity workout sessions have to be punctuated with long sessions of recovery time, then the benefits gained will be significantly less. This is exactly where a training mask will play its role. It helps in bringing about physiological changes in the body and helps in adapt to comparatively longer activity periods with the need of much lesser recovery period. Naturally, you will be able to maintain your peak performance for quite longer than you could earlier do without a mask. With the use of the mask, your breathing is controlled. It’s almost like breathing via a straw and as you train with your mask on, your body gradually gets adaptive to the new conditions. This type of adaptation is quite beneficial for elite athletes who have to perform excellently at all times, irrespective of their age. Since continued performance is often affected by pulmonary inabilities (often caused by advancing age), restrained/restricted breathing patterns are quite beneficial, allowing them to perform without causing raspy breaths. A training mask most certainly comes equipped with a re-breather system which means that the air that you exhale becomes a part of the air that you inhale. This means that wearing the mask for some time will ensure that the inhaled air has a higher CO2 that than in available in the surrounding air. As we breathe in air with higher percentages of CO2, the oxygen molecules bound to the RBCs are forced to carry a larger amount of oxygen to their various body parts than normally possible. This, thus, enhances the oxygen transfer within the body. Though there has been a steeply increasing demand for training masks, these are still shrouded in quite a bit of mystery. Debates have been going on amongst trainers, health experts and scientists across the globe as a good portion of them do not recommend the use of a training mask and consider several claims to be false or lame. As such, it would important to understand the shortcomings of these masks, before buying one. Though these masks are thought to be an alternative to altitude training, they aren’t really an alternative. 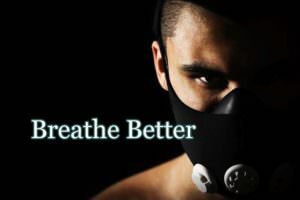 When you breathe through a mask, the air that is available to you for breathing is lesser but its pressure isn’t low, which is what altitude trainers actually get at high levels. With lower air pressure, the percentage of oxygen in the breathable air decreases in high altitudes. But nothing such happens while using a mask. The air that you breathe still has the regular oxygen percentage (21%) which is higher than that available high up. So, the simulation of higher altitudes is not perfectly available, and the results remain beyond reach too. For the body to reap the benefits of higher altitudes, individuals do, actually, need to stay up there for quite long. Continued exposure to lesser oxygen will help the body to get adapted to the new conditions and thus, produce more RBCs, carry more oxygen, increase capillary density and so on. But using a mask only for about an hour or so at the gym or at home will take you nowhere close to the results that you expect. Wearing a training mask during anaerobic exercises like weightlifting is totally in vain. These exercises require short bouts of breath and hardly have any association with the oxygen amount that you intake. Rather, restricted breathing may impede your actual training by lowering the amount of available air for breathing. If you are not training or working out at some of the well-renowned centers of your state/country, it is quite possible that you will not get assistance from an expert on hypoxic training. This may reduce the quality of your training and workout. 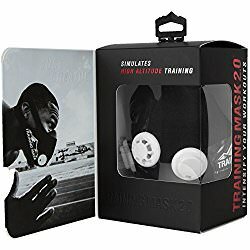 Though a training mask can certainly help in improving your breathing techniques, fatigue endurance, recovery time and condition of the pulmono-respiratory muscles, they mustn’t be seen as an alternative/simulant to altitude training, especially if you want to excel at sports/fitness. 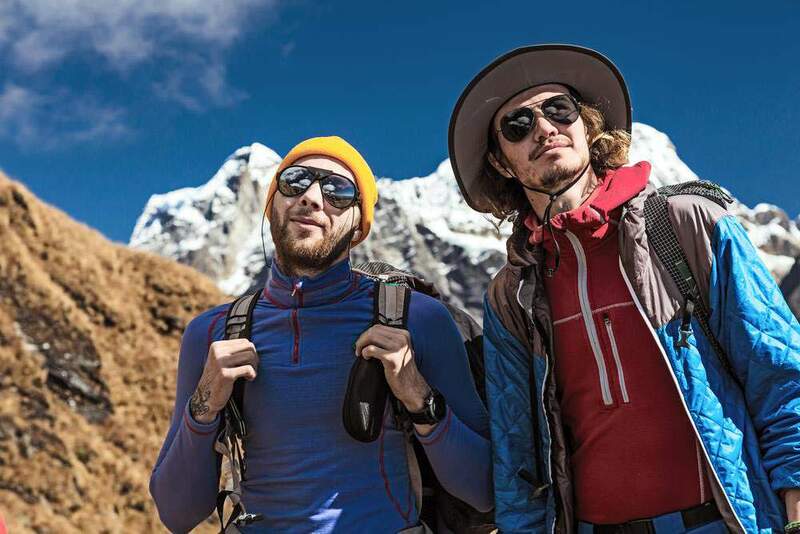 The main mantra of altitude training is live high, train low which implies that you need to spend quite sometime in the higher altitudes for your body to change its physiological activities and it takes several weeks or even months and is most certainly not possible with only a training mask. If you indeed want to be a top class athlete or sportsperson, you do have to resort to altitude training now and then and compliment it with the use of a training mask. Since nothing comes easy, you must be ready to take the pains before you have the gains.